The project, Preventing and Responding to Violent Extremism in Tanzania is a UNDP-led project, whose main objective is to support a preventive and developmental national effort for preventing and responding to violent extremism. The project will work in partnership with the following national stakeholders: elected and appointed Government officials at national and local levels, security providers, political parties and parliamentary groups, NGOs and, CBOs including women’s groups, faith-based organizations and institutions, academia, mass media and community media, international technical and financial partners to Government on preventing and responding to violent extremism. At national level, stakeholders will be invited to form a National Advisory Council on Preventing Violent Extremism (PVE) to guide and support the project, to promote public ownership and Government accountability. At local level, a participatory and inclusive approach to project implementation will ensure that the views and interests of all potential stakeholders are represented. The direct Government counterpart for the project is the National Counter Terrorism Centre (NCTC), responsible for coordination of PVE work in Tanzania, as well as preparation of the envisaged National Strategy and Action Plan 2018-2020. The project will work with other relevant Government Line Ministries and Government security providers – police, Special Forces, prison service – with and through the NCTC. The project will work with Parliament through the cross-party Youth Caucus, to raise awareness and support amongst decision-makers for an integrated and comprehensive, developmental approach to PVE in Tanzania. UN Women will support the gender dimension of the project with focus on in Output 7. Un Women will provide the required gender expertise needed for effective gender mainstreaming across the project outputs. conduct research on the gender dimensions of PVE, to provide gender training to the National PVE Unit, and to support establishment, training and functioning of early warning and response mechanisms for PVE at the local level. UNESCO will be engaged on capacity building of community policing (Output 2), community radios (Output 4), community-focused dialogues and the early warning system (Output 5). 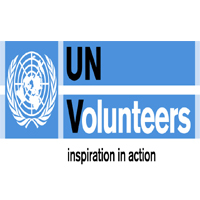 UN Volunteers will administer the national UNV scheme for peer group monitoring and mentoring in Output 3, as well as establishment, maintenance, and ongoing provision of content to the knowledge management foreseen under Output 6. National and international NGOs and relevant local Government departments will be partners to project efforts to scale-up existing vocational training and employment generation activities. The project will work with the Institute for War & Peace Reporting (IWPR) for the implementation of Output 4 for the training of journalists, with leading media organizations to produce television and radio programmes to stimulate national debate and with media in the target areas to engage local audiences and to report on project activities. Relevant religious authorities and institutions will be supported to participate in dialogue forums, and to improve governance of religious institutions. Project partners will include the Office of the Mufti and the Zanzibar, Imams Association the Inter-Religious Council for Peace Tanzania (IRCPT), which provides capacity building and accompaniment to local inter-religious committees. At the local level the project will also engage with the District and Regional Peace and Security Committees. Research institutions will be commissioned by the project to undertake specific studies relevant to the implementation of the project and to NCTC in the preparation of the National Strategy and accompanying Action Plan. The project will support Government coordination with IGAD and EAC at the regional level, with the AU at the continental level, and with the UN Counter Terrorism Centre and UN Counter Terrorism Implementation Taskforce (UNCTITF) in New York, as well as strengthen UN Country Team coordination and coherence on PVE issues. Strengthen the engagement of young men and women in PVE activities. Explain the value of volunteerism and the importance of community awareness to ensure that communities are involved and informed about PVE related activities. Provide information on development opportunities and other ideas for personal and professional growth. -Monitoring of social media trends, particularly related to hate speech/violence and produce/disseminate positive content that address the drivers of violent extremism. Contribute articles/write-ups on field experiences and submit them for UNV publications/websites, newsletters, press releases, etc. Knowledge of the local area is a strong asset (Tanga). Monitoring of social media trends, particularly related to hate speech/violence and produce/disseminate positive content that address the drivers of violent extremism. Knowledge of the local area is a strong asset (Zanzibar). Knowledge of the local area is a strong asset (Mwanza).